Once again, geographical distance seems to have lost its significance. It certainly has, but to some extent. Why to some extent? Because it still matters. Several days ago I received a message from an angry M. I kind of sensed even before opening the e-mail what he had written about. It should be about the Japan Marine Defense Force (Navy, to put simply) dispatching a few ships to the areas off Somalia/land. Bingo! 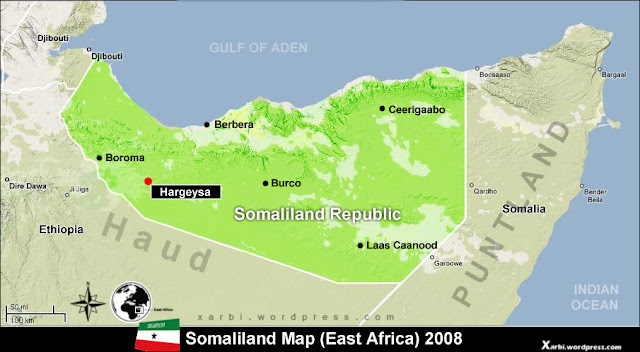 The Horn of Africa is very far from Japan. It takes the ships about two weeks to get there. Therefore the crew members will eat curry twice onboard. It’s their tradition to have curry on Fridays so they are reminded it’s a Friday. They see the ocean every single day during the voyage. The sun rises and sets today, like yesterday, and definitely tomorrow too. It is possible that they forget the day. The curry helps in this regard (I hear the curry tastes great. I never tried it myself but the recipe should be available at the Navy’s web site). Putting the weekly curry aside, there are a huge number of Japan-related ships that go through the areas off Somalia/land, and this justifies the dispatch of the ships. It is very rare for Japan to send the troops overseas as the constitution strictly forbids it, unless there is an international agreement/request for the dispatch. A few Japanese commercial vessels have been attacked by some pirates there. There are a great number of ships of a great number of countries that already request the Navy’s protection. The government of Japan believes the dispatch is necessary. 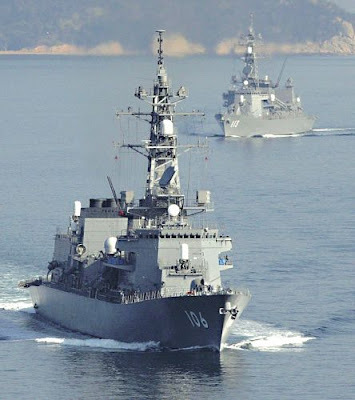 It also hopes the Navy will not use force, just like the Japanese Ground Army that never fired a single bullet in Iraq over a period of more than six years. One thing for sure, in any case, is that the way that the vast majority of Japanese people see our military forces is perhaps fundamentally different from the way the other nationals see their military. I understand that the military of many nations of the world, because of the shared land borders with their neighbouring countries and their operations overseas, is considered as a military ‘force’, while in Japan people tend to see the military as an organisation that supplements the police and help people in case of emergencies, such as frequent earthquakes, typhoons, landslides, rescue activities after avalanches in winter mountains and so on. I get confused when our troops are viewed by outsiders in exactly the way as the military forces of other nations; we do not talk about spreading democracy, human rights, good/bad governance and other ideas that tend to be imposed on some people by the self-proclaimed leaders of the world. Things are naturally different from place to place. About the writer:(Mr) Yoshia MORISHITA is a Japanese national who studied and worked in the UK, as well as Turkey and Eritrea. He has visited around 25 countries of the world and developed his international perspectives. He has a Master’s degree in International Development from UCL, University of London and worked as a research associate at a British NGO. Currently he is living in Japan running a small business in the area of various international programmes and businesses facilitation and co-ordination, while reading sociology at Hokkaido University.